As well as being specialists in EPoS and Enterprise technology solutions, Tevalis holds more than 70 accredited integrations with other experts in their respected fields, including payment services, finance systems, property management systems and many more. So, to end the Talking Tech series, we’ll be looking at some of these other technology solutions that integrate with Tevalis to achieve a best-of-breed system. Gone are the days where hospitality staff need to manage two separate systems: the point-of-sale (PoS) and a reservation system from a PC on the front desk – with an integration to Tevalis’ reservation system partners so teams can manage their bookings efficiently all from the PoS. So all bookings made by a customer are synced into the reservation system tab on the Tevalis PoS for seamless booking management. If a customer changes their online booking details in any way, that change is also reflected and updated on the PoS. This means that teams can then attach that booking to a table, reserve it, and even have that reflected on the floor plan to avoid cross booking and seating. Today, most businesses depend on the ability to accept card payments. Therefore, having integrated payments is a guaranteed way to ensure payments are being taken in minutes, and that customer satisfaction levels are optimised. 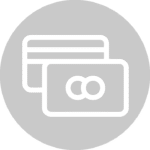 Thanks to Tevalis’ integration with payment specialists, a seamless link between card processing and the EPoS system is created so the data flows between both devices. Now, your customers can simply pay at table or pay at the counter: either way, it’s faster, more efficient and improves the customer experience. When it comes to implementing new technology solutions, it’s essential they have features and functionalities in place to make processes easier for the whole team. That’s why Tevalis has integrated with the best accountancy platforms on the market. Clients with the Tevalis Stock Management module active can reap the benefits of an integration with many finance systems. The functionality provided by this integration means that management can analyse and control delivery and purchase orders, alongside having the ability to send purchase invoices for immediate reconciliation. 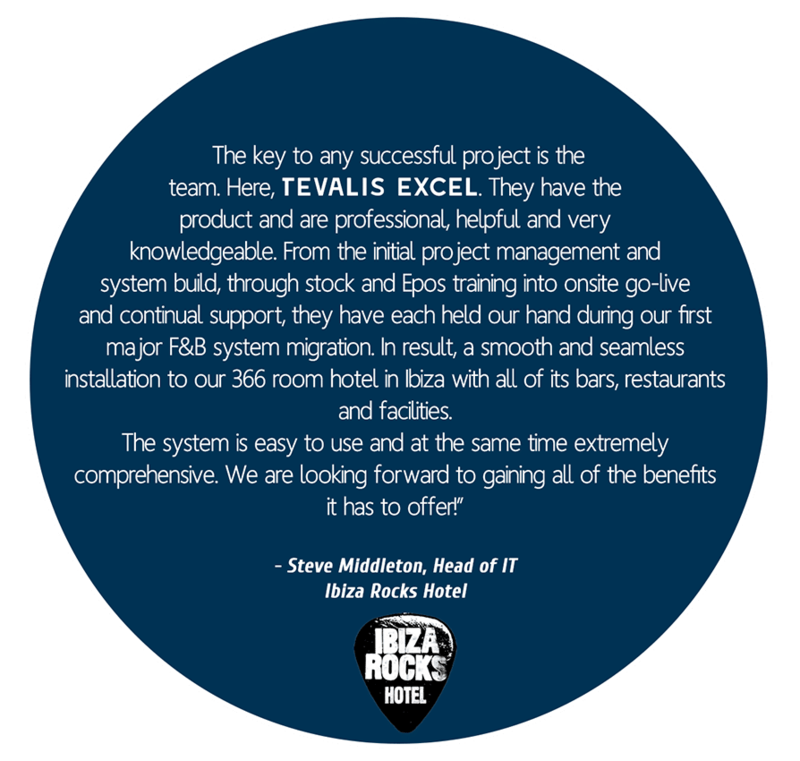 For hoteliers, having two separate systems for your venue (the PoS and Property Management System (PMS)) can increase time spent on various tasks for the team. So to combat this issue, Tevalis integrates its on-premise solutions such as the PoS with the PMS to make sure administration and management of both is minimised. The PMS integrations deliver a unique and seamless restaurant and accommodation management solution, whereby operators are provided with full end-to-end visibility on all food and beverage transactions within the venue. With that, users can post food and beverage items directly to rooms at the touch of a button. Further functionality includes viewing room charges and finding the guest’s room via a simple search directly on the PoS. In a world where your competitors are only a click away, customer loyalty has become more important than ever. To give operators choice and flexibility with their chosen Customer Relationship Management (CRM) process, Tevalis integrates with many loyalty experts, including those who specialise in custom mobile applications. Thanks to this integration, your customers can order through your custom mobile application, with that information instantaneously sent to the PoS. From there, a new table is opened, an order is created and sent to the kitchen ready for preparation. This not only gives the customer full control of their order throughout their dining experience, but it also means your front-of-house team can pick it up and add items from the PoS at any time during their visit. What’s more, customers can monitor their spend from their mobile device too. Within hospitality, employees typically work on a shift basis, which often means organisation of labour and staff management can be a big challenge. But with Tevalis’ integration with labour management experts, this problem can now be easily resolved. The sales revenue from the Tevalis PoS is imported into the staff management software, so managers can analyse their cost of labour against sales. This gives operators the chance to keep labour costs down where necessary and improve their profit margins. Alongside this, the clock in/out feature on the Tevalis PoS is integrated into the labour management system, so operators have constant access to accurate time and attendance tracking. 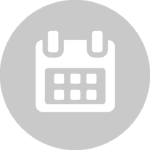 Extra features include efficient staff scheduling, integrated payroll and targeted communication so that everyone in the team can receive notifications on rota changes. Alongside this, you can expect to receive an overall increase in transparency, as there are comprehensive tools in place to ensure team members can mark their availability before rotas are created. Head of development, Steve Borman. How does Tevalis select the partners they want to integrate with? Tevalis EPoS is designed to integrate. Our software is modular, which means we can easily ‘plugin’ third parties. 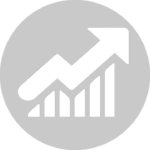 Our integration partners have enabled Tevalis to grow incredibly quickly so our clients no longer have to compromise when it comes to their existing software portfolio. We always want to ensure we can provide our clients with a connected and consolidated system, therefore, if the third party allows it, we are happy to integrate. Tevalis software has been written with integrations in mind. Therefore, we create the software with common interfaces for specific functions such as payment integrations. This approach allows us to easily add new partners using the common interface, eliminating knock-on issues caused by new code. We aim to complete the integration process quickly, meaning operators can have their desired technology system in place with no delays. Why do you choose to integrate with others rather than developing these solutions as part of the Tevalis offering? Tevalis chooses to integrate for one of two reasons. The main reason is client requirement: we often find operators cannot move from their current partner without the high cost and a large amount of work, thus we will always aim to offer an integration if possible to reduce this issue for our clients. 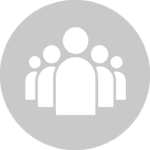 The second reason is about wanting to work with other specialists: as we’re specialists in EPoS software, we want to ensure we work with other experts in their specific fields as well. This gives operators the chance to have a system in place, which is not only the best in the industry and reflects a ‘best of breed’ value, but also offers maximum functionality. What does the future hold for integrations? Tevalis will continue to innovate and integrate with partners where required across multiple specialist areas, maximising on functionality where necessary. However, we are also looking to fill the gaps too, reducing the requirement on third party integrations. 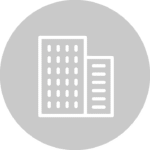 We have many new and exciting technology solutions in the pipeline within both our on-premise and enterprise layers, all of which are carefully developed to meet the evolving requirements of the industry. These will either replace the need for a third party or offer a comprehensive alternative. Overall, our core aim is to ensure that our clients have a fully connected technology ecosystem which meets their full requirements.